Good morning folks! 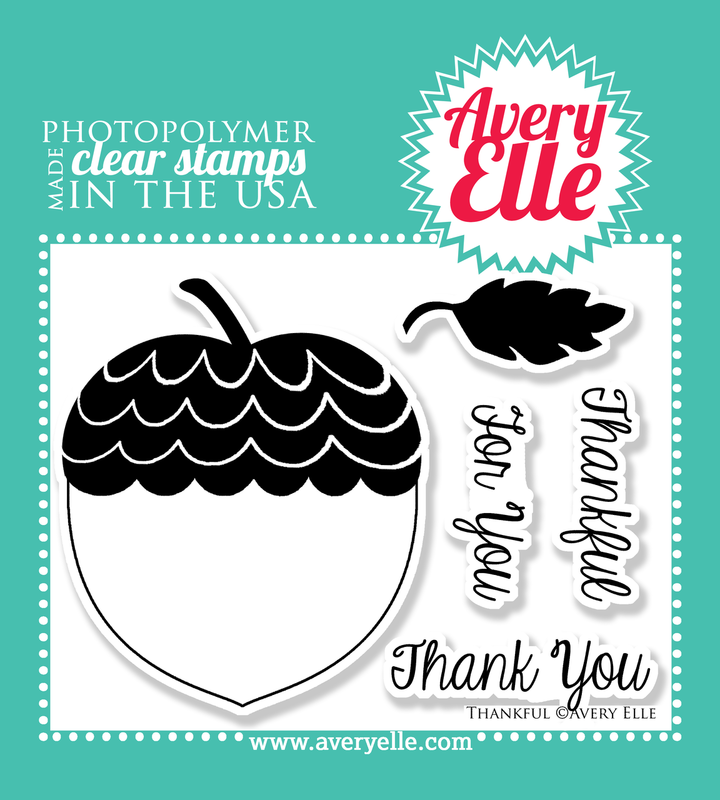 Just a quickie post today with a card using the new Avery Elle set Thankful! This mini set is all about the oversized acorn! I'm so happy to be working with this set because this is definitely how I've been feeling lately! Even with the day-to-day craziness in my life, I'm feeling very thankful for family, friends, my home, and even my job;) Hope you all are feeling it too! Love this! That acorn is beautifully done. Great card! Love how the wreath frames the acorn...sweet card! Great card! Love those sets. I love how you made the 'Acorn' the star of the show on this card, JJ! I love how you placed the wreath behind it, and how you used the banner with this pretty sentiment, too! Such a beautiful autumn card!! !